I have become obsessed. Completely addicted to eating a whole foods diet. It’s been almost two weeks since I finished. And after 29 years of eating 90% junk I’m feeling pretty darn good! I haven’t been getting tired until it’s actually time for bed. When I eat I no longer get that sluggish, yucky feeling. And I am not craving sugar or processed foods AT ALL. Another reason I know how good for my body this diet is, is because around week three I slipped up. I ran out of groceries, was starving, and subsequently decided to eat at Arby’s. After I ate my stomach hurt so incredibly bad. I’m not even kidding when I say the only thing I can compare it to is labor pains. It was THAT bad. I guess when you rid your body of the bad stuff it gets super angry when you decide to put some more of that bad stuff back in. Every week since I’ve been able to lower that grocery bill. I’m now feeling mildly confident in my whole foods saving strategy. Since I’ve started the whole foods diet I’ve been a cooking fool. It’s crazy because I’ve never been one who loves to cook. However, when I have just a few ingredients I can’t wait to see what I can turn those into. At first I thought I needed to have a little bit of everything. And while that’s nice, it costs a lot of money to have a little bit of everything. I can make tons of different things with just those few ingredients. When I go shopping I make sure that I get enough of these items to last me through the week. While I also buy other items these are my must haves. After that first extremely expensive week I decided to visit the Amish self-serve stand before going grocery shopping. I wasn’t sure if they’d still have produces but lo and behold, they did! And it was SOO much cheaper than Kroger. I spent about $30 and got twice as much food as I would have from the grocery store. Obviously, depending on where you live the farmer’s markets may not have any fresh produce left. But if they do check with them first. This was huge savings for me. 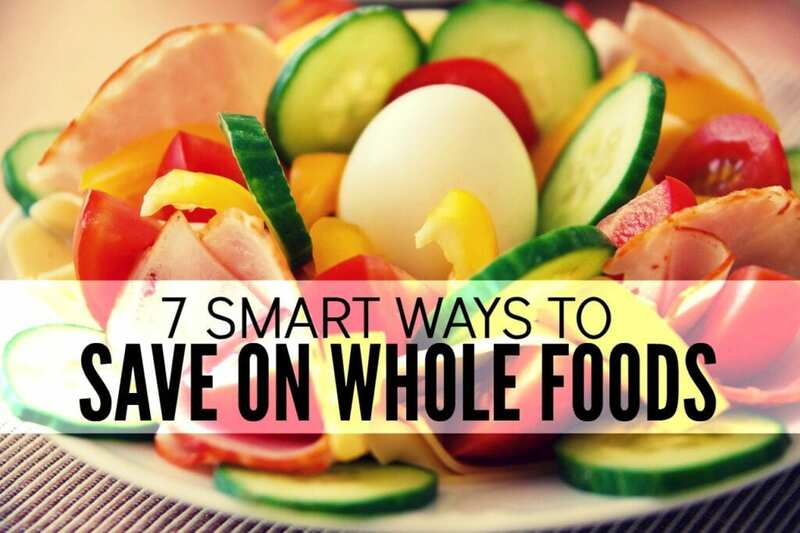 The whole foods diet can be pretty simple if you want it be. Fruits, vegetables, meat, and eggs. But then when you start looking up recipes a lot of them include vegetables you never buy, coconut milk, ghee, coconut flour, almond flour, coconut oil. All things that are not in my pantry. Don’t feel the need to buy them all at once. I have slowly added something new each week. This helps keep costs down plus ensures that I’m not buying a bunch of stuff that I’m going to end up hating. When you’re eating a lot of new foods there’s inevitably going to be some things you just don’t like. While something may look good on the grocery store shelf it doesn’t mean you’re going to like it when you taste test. When my whole30 ended I decided one thing I wanted to try and bring back to my diet was organic yogurt. Only, I’ve never ate organic yogurt before. But – I also tried almond milk and couldn’t do it. In that instance I was glad I started with just a small container. When you’re buying new things start with a very small amount so you can see if you like them first. In a perfect world we’d buy everything organic. I want to buy everything organic, especially after watching Food Inc. But organic versions are expensive. For instance, a pound of organic zucchini is $1.65. A pound of non-organic zucchini is $0.99. Non-organic yogurt might be $0.50 a cup. Organic yogurt is $2.00 a cup. What I’ve been doing is buying organic versions of the stuff I use a lot and matter to me. This includes bananas, zucchini, coconut milk, and coconut oil. (Added to that list is now organic yogurt too. That stuff is heavenly.) I also received more fresh local beef from a family member so I’m covered there for a while too! But if I bought organic everything I’d probably be spending at least $300 per week on groceries. Instead of guilt tripping myself about it I buy organic where it matters to me and keep reminding myself that non-organic vegetables are still better than Cheez Its and Nutty Bars. I almost didn’t list this one here because the advice is so over stated. 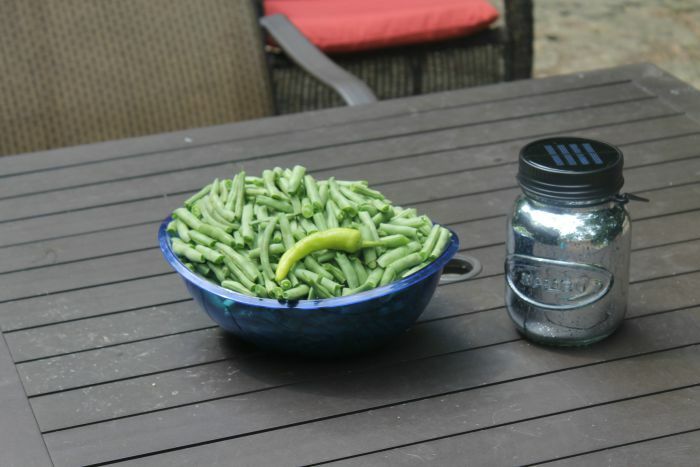 But……………I grew a massive garden this year and by the end of the season I let a bunch of stuff go to waste. A bunch! I didn’t feel like learning how to preserve food. My dad has asked me to learn how to can for years now. He always tells me he’ll grow the food and I’ll preserve it. I had no interest. And this year my dad tilled our garden and supplied the plants. It was huge. I probably had enough zucchini, cucumbers, and tomatoes to last me a year. I let them rot after I got tired of messing with them. You better believe that next year I will learn how to preserve. I remember way back when I thought extreme couponing was cool. I would read all the comments from people exclaiming it was hard to save money on the healthy stuff. That it didn’t matter to me. 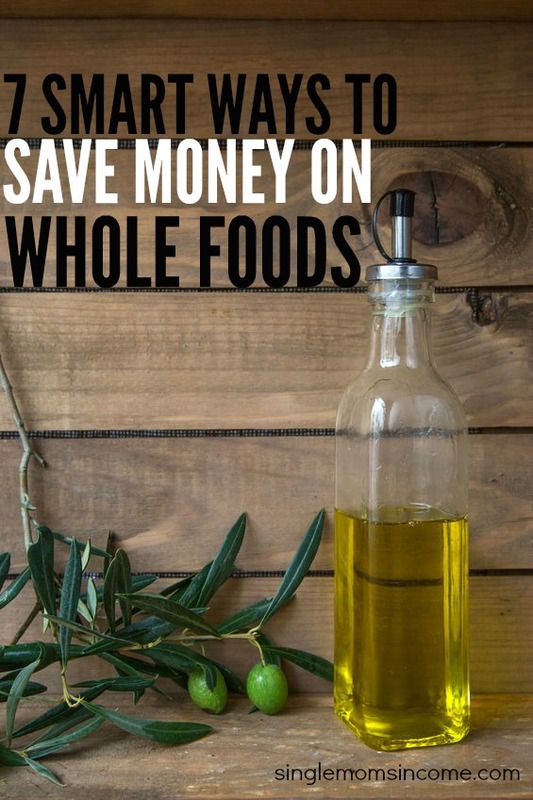 But just because there aren’t gobs of coupons available for whole foods doesn’t mean you can’t creatively save money on them. Farmer’s/Amish Markets – I’ve already said this but it’s worth saying again. My Amish market was incredibly cheaper than the grocery store. 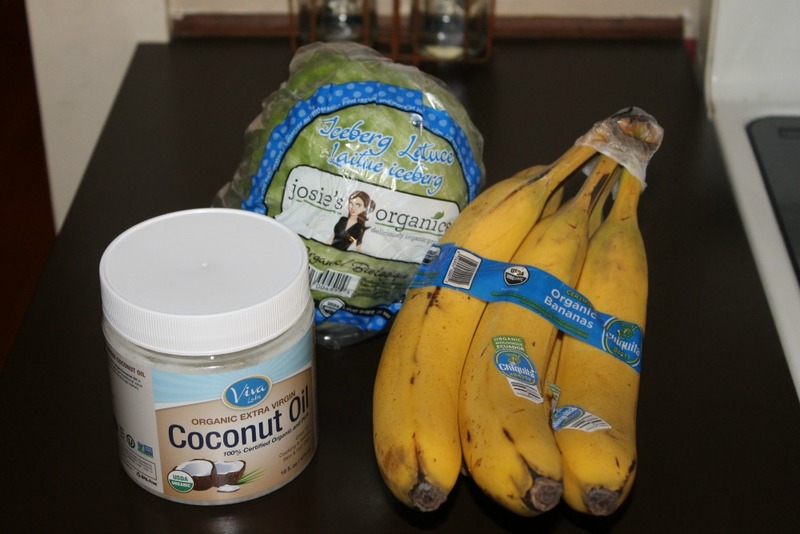 Amazon – I bought organic coconut oil from Amazon. It was cheaper than the grocery store. (Plus I like to read reviews!) If you have a Discover card and are signed up for their rotating 5% quarterly categories for the fourth quarter, you can earn 5% Cashback Bonus on Amazon! Cashback Credit Card – If you have a Discover Card and Apple Pay on your phone you can earn 10% cash back by paying with Discover through Apple Pay through the end of 2015 on in-store purchases. (Plus some stores are offering incentives for using Apple Pay as well. Do some research before you go shopping.) That’s like a 10% discount right there. After 29 years of eating junk I’m feeling pretty darn good after roughly 45 days of eating right. My skin feels softer, my body feels good, my energy levels are consistent, and sugar cravings are gone. While I spent way too much at first I’ve learned a lot these past several weeks. Aligning my budget with my food needs is starting to become easier. Do you have any tips that I’m completely missing?! I’m not sore on any ways to save money – but I did read an interesting article on how we spend hundreds (or thousands) a month on health insurance yet eat crap. We’d save a LOT less on medical bills (as we get older) if we’d simply feed our bodies right. That’s so true, so don’t worry too much about your food budget when you’re eating super healthy!! I’m trying not to worry about the food budget but there is a HUGE difference in the cost of healthy vs. non-healthy. I didn’t realize how bad it was until I had an entire cart of healthy food. It’s pretty shocking! I’m now in Minnesota and I have always wanted to go to Amish markets. These are only an hour away and that’s totally doable. I am really interested to explore their products and especially because I have a toddler. 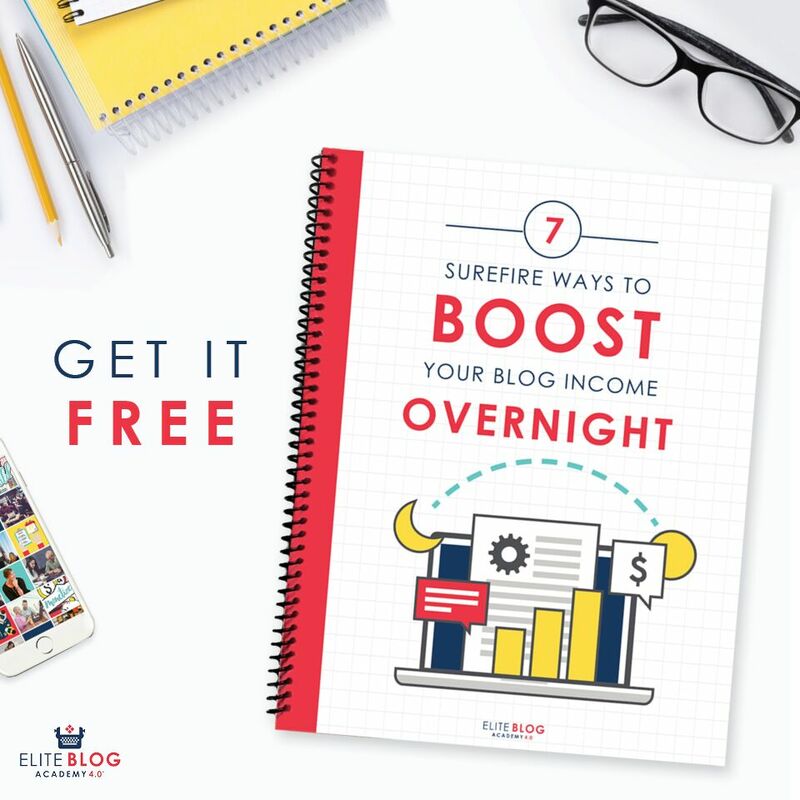 Nice tips! I do all of my shopping at our local farmer’s market and plan our meals around in season produce. It is amazing how much you can save by eating in season. Yes it is. The Amish market was so much cheaper than the grocery store! Congrats on sticking with Whole 30 ! I can’t believe that you have changed your diet around So Much ! What do the kids think ? Jamie ? The girls really like it! (One of their all time favorite foods is salad.) They still eat whatever they want for lunches but eat good breakfasts and suppers. And Jamie likes it too. He’s lost about 15 pounds so far! I do think people have a misconception that you can’t save on healthy food. Most of the coupons and sales are on boxed foods, not on whole foods like fruits and vegetables. 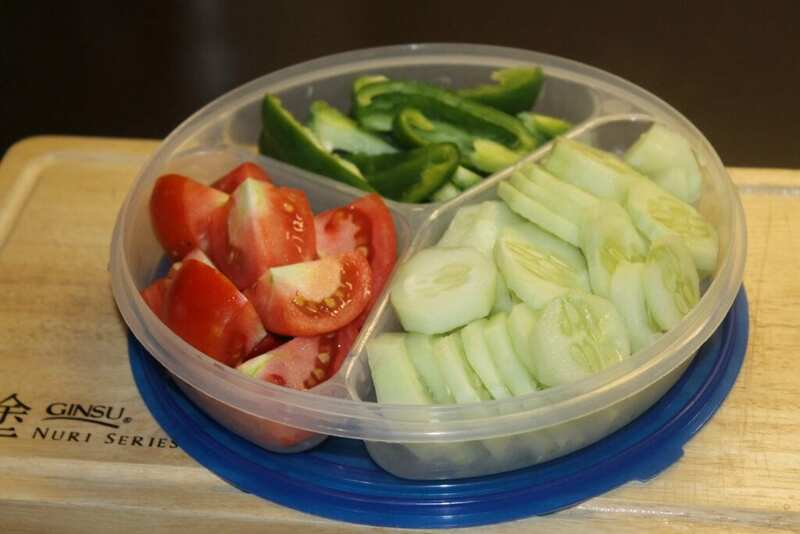 These are great tips to take advantage of to eat healthier and still stick to a budget. Hubs and I are trying to eat healthier, but we didn’t want to spend more money than we already were on food. We’ve done several of these things too. I think it takes a little more creativity to save on the healthy stuff but it is doable. It just takes some experimentation. just looked up the official whole30 rules…can’t do it! I love rice and beans too much! Ha Ha Ha! Seriously though these are good tips. I’m not sure if you have an Aldi in your area, but they now have a ton of organic items very reasonably priced. In my area the Coconut oil, organic and unrefined, is $4.99/16 oz. Great job! Unfortunately I don’t have an Aldi 🙁 I have a Kroger, Walmart, Save-a-lot, and a small locally owned store. I pretty much shop exclusively at Kroger.